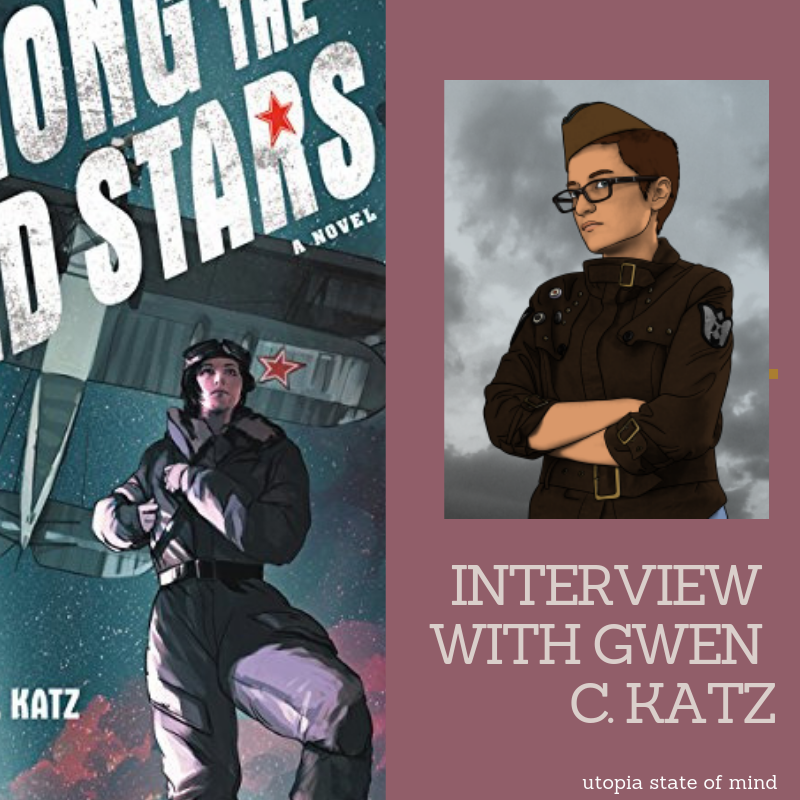 If you saw my blog last week, you would have seen my glowing review of Among the Red Stars. It easily places in my top historical fiction books due to the compelling characters. 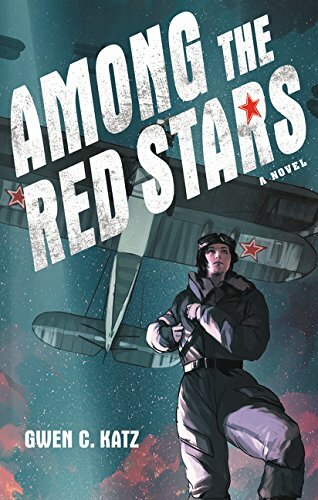 Since Among the Red Stars is based on a historical incident of the Night Witches, can you talk about how you were inspired or where/how you found out about them? I found out about them from my father-in-law, who’s a big war aviation buff. One time I asked him if there were any female pilots in the World Wars and he told me about the Night Witches. I dedicated Among the Red Stars to him. For historical fiction novels, I like asking authors about a piece of research they found that they didn’t use in their books. When they had to land their planes in the dark, pilots would tell when they were close to the ground by smell. I had a scene where they did this but I had to cut it out, alas. War in Among the Red Stars is an experience both Pasha and Valka. Can you talk about how they deal with it differently and what this says about them as characters? In both the US and Russia, female soldiers outperformed male soldiers, on average. And it’s because all the women wanted to be there, whereas the men were conscripted. I’m very interested in all the men who were forced to go to war despite clearly not being suited to be soldiers. So that’s Pasha’s experience. And other other hand you had all these women who wanted to serve but often weren’t allowed to. Iskra’s family is a large point in the novel, can you talk more about Iskra and her background? It can be difficult to remember that there was a time in the Soviet Union when people really thought they were building this utopian society. Iskra’s parents were some of those loyalists. And then in the late 30s, there were these mass purges, and a lot of these loyalists got arrested. You can imagine how hard it would be if the regime your parents supported was the same one that destroyed them. Of all the YA novels, who do you think you would be in Valka’s close circle of friends? 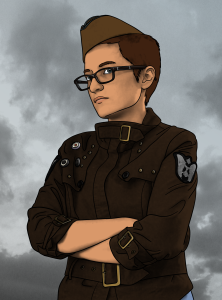 I’m totally Zhenya Rudneva, the nerdy one. There’s a bit in her diary where she mentions getting into an argument about the date of a historical event. That’s so me. What’s some messages you want readers to take away from Among the Red Stars? I want girls to know that, whatever they want to do, not only are women capable of accomplishing it, but they already have. If you could write about some other famous women in history, do you know who would you want to write about? Right now I’m really interested in female assassins and revolutionaries. Revolutionary movements often had a lot of prominent women because they weren’t part of the establishment and so laws banning women from public life didn’t apply to them. Vera Figner and Sophia Perovskaya were two of the women who organized the assassination of Tsar Alexander II. Very interesting people! Can you tell us five random facts about you that we might not know? I studied chemistry in college. I wanted to be a pig farmer when I was in preschool. I have synesthesia. I owned chinchillas growing up. I used to work at an art museum. What books were influential to you growing up? The funny thing is I didn’t actually read much historical fiction growing up. I was totally a Redwall/Lord of the Rings girl. Gwen C. Katz is a writer, artist, game designer, and retired mad scientist who lives in Altadena, CA with her husband and a revolving door of transient mammals. Her first novel, Among the Red Stars, came out in October 2017. What famous woman would you want to star in a YA novel?